Travel to coastal Maine with maritime insurance investigator and part-time deputy sheriff Jane Bunker. Boats, small town life, and a hefty dose of crusty Maine characters are featured in this mystery. The cast of supporting characters include Audrey, the sarcastic waitress with an opinion on everything, Deloris the police dispatcher who knows her way around a computer, and Jane's elderly landlords and lobster-themed gift shop owners Mr. and Mrs. V, who feed her a never ending variety of mussel dinners with a side of word play. 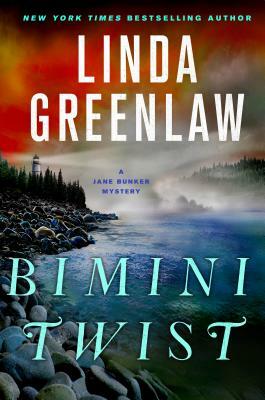 Jane Bunker returns in Bimini Twist, another thrilling, small-town mystery by Linda Greenlaw set in Down East Maine.